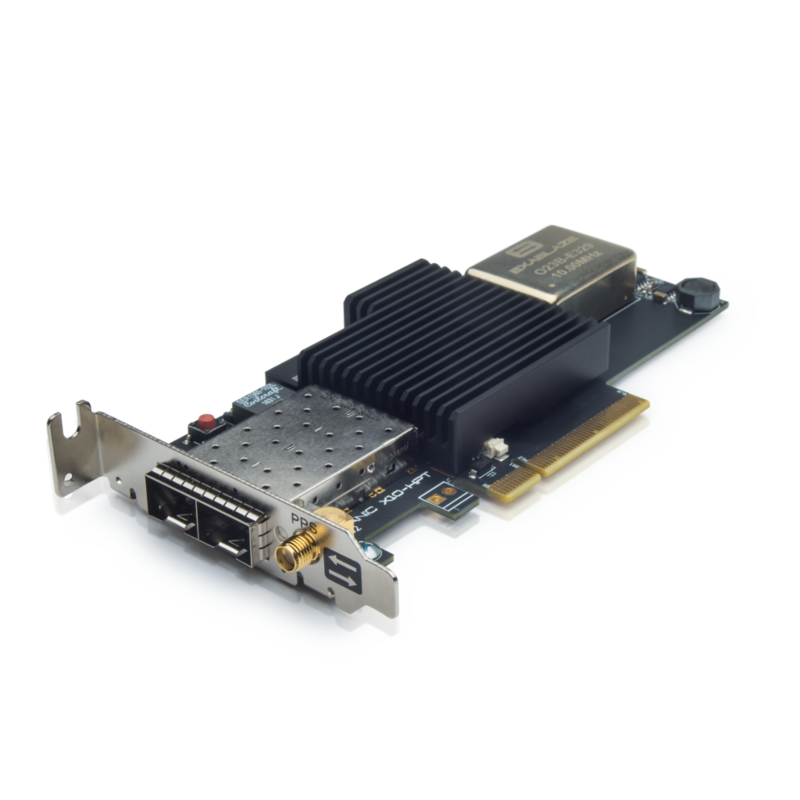 The ExaNIC HPT is the world's first network interface card capable of timestamping Ethernet packets to sub-nanosecond resolution. Packets can be captured at line rate, with the arrival time of the first bit of each packet recorded with a granularity of 250 picoseconds. For clients at the forefront of the latency race, this technology provides invaluable new insights. For example, the precise latency of a network device can be determined for each input packet - even for very low latency devices - rather than relying on statistical averages or vendor claims. The high resolution timestamps can also be used in conjunction with supported PTP software for very tight time synchronization over low-jitter links such as dark fiber. A Pulse-Per-Second (PPS) input/output is available for synchronization of cards within a data center. The ExaNIC HPT supports the same driver stack as the ExaNIC X10 and can simultaneously be utilised as a standard low latency network card.